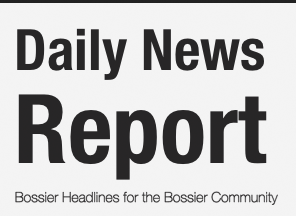 The Bossier Parish Community College Lady Cavs split a Region XIV doubleheader against fourth-ranked Tyler Junior College on Friday in Tyler, Texas. BPCC won Game 1 8-3 and lost Game 2 11-4. The Game 1 loss was Tyler’s first in conference play this season. BPCC is 30-12 overall and 8-8 in the East Zone. Tyler is 42-6 and 17-1. BPCC’s Rebecca Shepherd went 2-for-3 with two doubles and three RBI in Game 1. Former Benton standout Abi Cole had an RBI-triple in the first inning. Ruby Butler had a double. The Lady Cavs scored five runs in the top of the fourth for an 8-2 lead. Uchenna Jong Loy was a hit by a pitch with the bases loaded. Shepherd had a two-RBI double with two outs. Hailey Ebey followed with a single that scored two more runs. Dorrie Cormier allowed five hits and walked only one in seven innings. Game 2 was tied at 4 after five innings. But Tyler erupted for seven runs in the bottom of the sixth, including back-to-back home runs. Cole had a big game, going 3-for-4 with two RBI. Rachel Yocum went 2-for-3 with a double and two RBI. The double was the Lady Cavs’ only extra-base hit. Ally Klein also went 2-for-3.